The storefront is easy to miss, and there’s not a lot else around. So far I’ve only purchased one book from this bookstore—which means I’ve spent a total of twenty-five cents there. I’m not sure how often I’ll get back to it, either. I don’t often go through Champaign, Illinois. It will depend, I suppose, on whether I need to continue avoiding the traffic on the Illinois section of I-80. Mind you, that one book was one of the better ones in the Three Investigators series. So chances are I’ll figure a way to pass by here again. The bookstore is the outlet store of the charity’s Amazon storefront. According to their web site and the flyers in the store, the charity is focused on orphans, and especially on finding them homes and making sure that the people who take them in are supported. When I pulled up, I wasn’t sure I was in the right place. I came up a county road into a dusty lot that seemed to be the middle of nowhere. Pioneer Street is one lone block and appears to be some sort of warehouse district. It isn’t: Google Maps shows lots of businesses around that street but nothing particularly on it. The bookstore itself is clean, organized, and filled with books. Which is what you want in a bookstore. If you’re traveling east/west on 74, or even north/south on 57 as I was, it’s worth checking out. 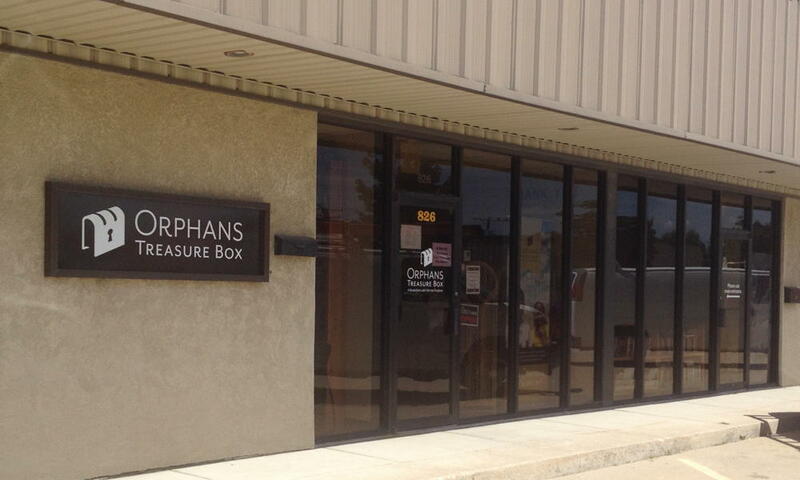 Champaign, Illinois: Orphans Treasure Box last modified November 5th, 2016.